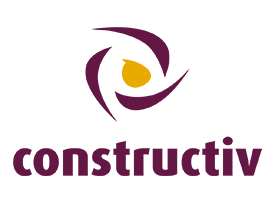 Education and induction Constructiv works hard to improve the inflow of employees in construction and to keep up the mark of their competences. After all, the sector strives for a sustainable employment. In order to maintain this, our consultants in the field are responsible for: - The promotion of the construction and construction professions for adolescents and job-seekers - The guidance of adolescents and job-seekers searching for a sustainable job in the construction - The support of building companies and their employees with regard to their competence- and career management - The development of the European Qualification Framework (EQF) for the construction sector - The development of curricula in association with the departments of education in Flanders and Wallonia. 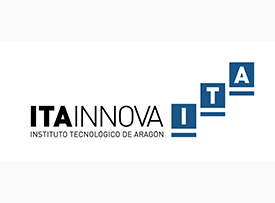 ITAINNOVA was created in 1984 by General Government of Aragon, with the aim of promoting the technological possibilities of the enterprises in this region, and in this way developing new products /processes, with the prospect of developing competitiveness and in the challenge to join the EU. It´s a Public and non-profit Technology Centre with juridical personality and a clear market orientation, providing innovative solutions from our lines of research and development, which transform and accelerate the technological processes of companies or challenges in our society. Innovation is the engine of business and society, and the technological progress and innovation gives us our true purpose and adds value for businesses. It has several areas of technical/technological expertise, providing focused on the needs of our target/ customers solutions: ITC, Industrial Processes, Power Systems, Mechatronics, Materials, Calibration and metrology and Training Services. ITA's staff is 220 people with a great experience in R&D European projects, managing programmes of industrial development, technological innovation and quality. 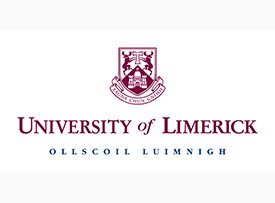 Their expertise is of a very broad nature ranging from economics, business management, consultancy and technology. It has a great list of contacts in Aragon, country and European networks: more of 8500 enterprises of Aragon, SMEs and companies, public entities and intermediate bodies, Universities, Administration, Centers of research and development. • Undergraduate in construction management • Undergraduate in civil engineering • Postgraduate in advanced materials engineering Furthermore the Enterprise Research Centre (ERC)is committed to solving the challenges facing current and next generation enterprises by assisting them to become more innovative. The centre is multidisciplinary collaborating with several university departments including Civil Engineering and Materials Science (CEMS), Science and Engineering and Health Sciences and Education Innovation is at the heart of every successful business, it is the process by which we turn an idea into a successful commercial outcome. Being innovative however is not just the responsibility of owner managers, those who work in companies also need to critically reflect on their work processes and how to make them more innovative. This is done through industry based research and skills development within the organization to enhance the absorptive capacity of companies to integrate and adopt the research. FORTEC is a private Company who main objective is the creation and development of innovative projects that impact beneficially in society, paying particular attention to all processes and related training systems. 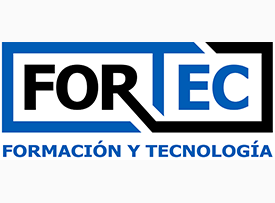 FORTEC, FORMACION Y TECNOLOGIA S.L. (www.formacionytecnologia.com) specializes in developing software tools and related research related to training for employment. FORTEC is divided into 3 areas: 1. Training plans FORTEC has a wide range of professionals in different disciplines and in relation to management develops a comprehensive treatment of the training process for employment: needs study, administrative management (processing, justification and certification), delivery and monitoring, impact assessment, etc. 2. Social research FORTEC has more than 15 years of experience in conducting studies, both for public bodies and for private companies and social agents, oriented to the field of training, employment and social development. The area promotes the design and application of research methodologies and tools 2.0, which channel the possibilities of collaboration and analysis provided by new information and communication technologies. At the local and national level, he has developed prospective projects on labor market trends, as well as tools related to the detection of training needs and career guidance. 3. e-learning consulting FORTEC analyzes the needs of the organizations to which it advises, providing the solutions and tools that allow optimum knowledge management and accompanying throughout the process of implementation and development of a quality training system. 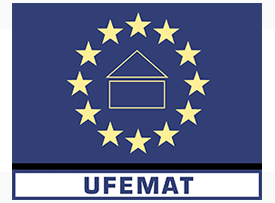 At the local and national level has developed prospective projects on labor market trends, as well as tools related to training for the detection of training needs FORTEC is Q-FOR certificated organization, certification of specific European quality training institutions.